For the mastering engineer, a multi-band compressor is a powerful tool. But as Spiderman's uncle Ben famously says: with great power comes great responsibility. A multi-band compressor that is not used diligently may create more problems than it solves. This is why we created Drawmer S73 Intelligent Master Processor (IMP). 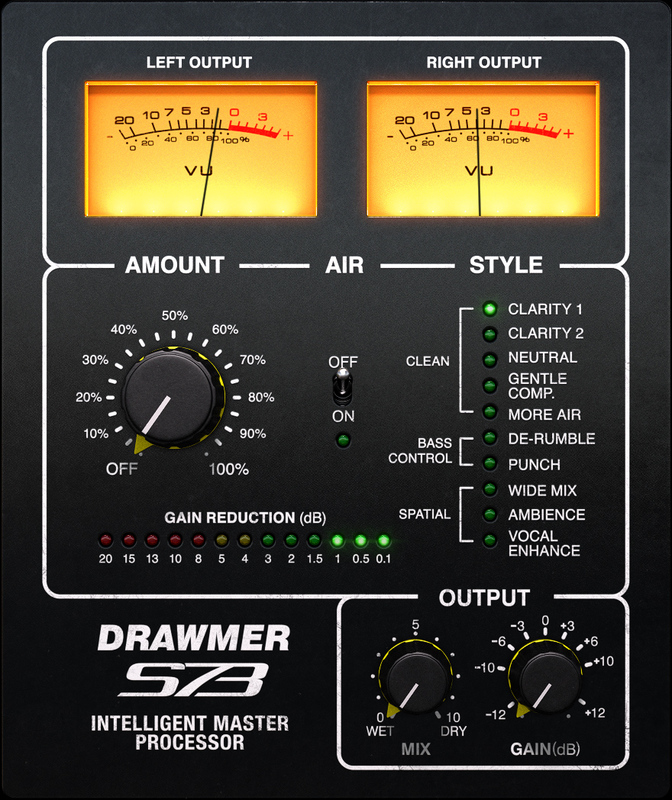 Under the hood, the S73 is based on technology created by Drawmer for the 1973 Three Band FET Stereo Compressor. This is an award winning multi-band analog compressor design famous for its precision and flexibility. Softube has carefully modeled all the characteristics of the original analog hardware, and have taken the concept a step further by adding mastering sound design to create the Drawmer S73 IMP. The unit offers the perfect way to balance and shape your mix, and get great analog sound in no time.